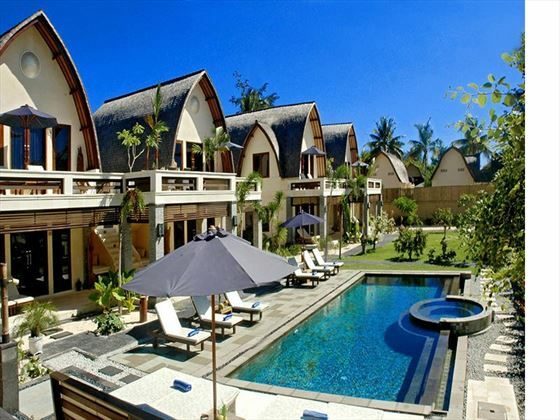 Start with a stay in tranquil Segara Village. 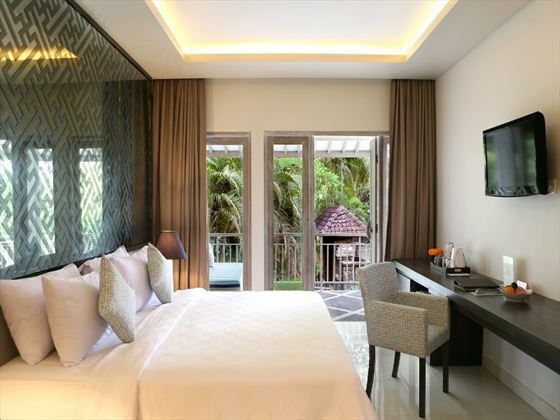 This charming hotel is set right on the famous beach at Sanur in five acres of beautiful tropical gardens. Stroll the beach boardwalk that stretches several kilometres, enjoying the views from the cafes and watching the fishermen haul their catch. The Gili Islands beckon from just over the water, and this unspoilt paradise is actually very easy to reach by boat from the harbour close by at Benoa. The ferry takes around two hours to Gili Trawangan where you will check in to the Vila Ombak. 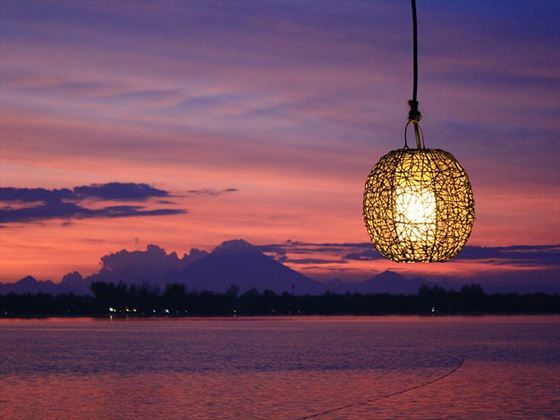 Known affectionately at Gili T, this is the liveliest of the island chain with many beach bars and restaurants to sample, most with true toes-in-the-sand, swaying in a hammock, beachfront locations. 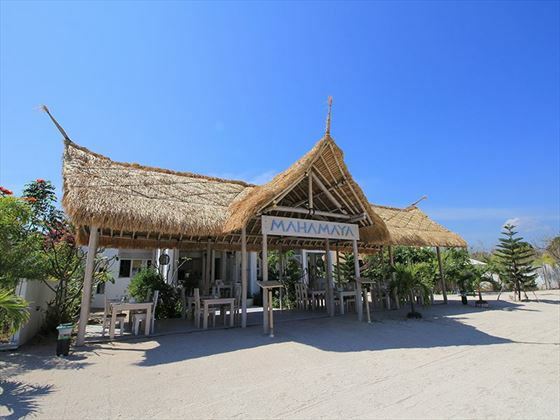 Next it’s a short boat ride over to Gili Meno, the smallest and most tranquil of the Gili islands for your stay at MAHAMAYA boutique resort. Enjoy sunsets from your boutique resort, walk around the island (or use the complimentary bikes) to find the turtle sanctuary and try the best snorkelling spots, right off the resort’s beach. You will board the ferry again, disembarking at a port further north in Bali for your final destination, Candidasa, on the east coast of Bali where you will find some of the islands best diving and snorkelling; back on land there are rice fields to explore, handicrafts to haggle over and temples to discover. This is merely an example itinerary and can be adjusted to suit your bespoke travel needs. You may wish to spend longer in any of these resorts or swap your final beach resort for an inland stay in the cultural magnet of Ubud. Arrive into Bali's Denpasar airport after an overnight flight from the UK and transfer to your hotel in Sanur for the next 3 nights stay. 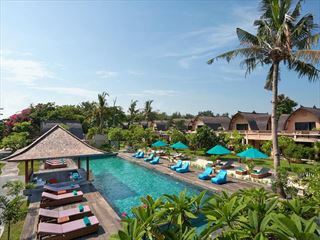 Enjoy the next 3 nights relaxing on Sanur's beach and admiring the five acres of beautiful tropical gardens at the Segara Village resort. This morning a transfer will collect you from your hotel for the short drive to the port (the exact time of the speedboat from Bali will be advised after booking; most depart East Bali between 09.00-10.00am). You will arrive at Gili Trawangan harbour just before lunch and head over to Vila Ombak for check in. The easiest and most fun way to travel the very short distance from the harbour to the hotel is to take a local Cidomo (horse & cart); this is the most used form of transport here. 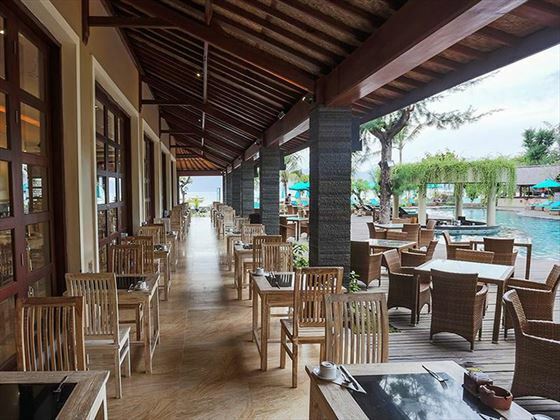 After checking in, you can enjoy lunch and a swim and settle into the laid back life of Gili T. During your time on the island you can enjoy a snorkelling trip to see the tropical underwater life and if you're lucky you may even spot a sea turtle. After spending a few days relaxing on Gili Trawangan, now its time to try the smaller and less inhabitated island of Gili Meno. Take another Cidomo back to the port where you will be transferred by Speedboat directly to the beach at Mahamaya. This boutique and intimate resort will have you relaxed and enjoying island life from the moment you arrive. After three days of island bliss, check out around noon to join the speedboat service back to Bali. 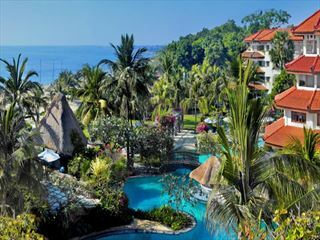 When you disembark in Bali, you will be transferred by road to your hotel at Candidasa, on the East Coast of Bali. 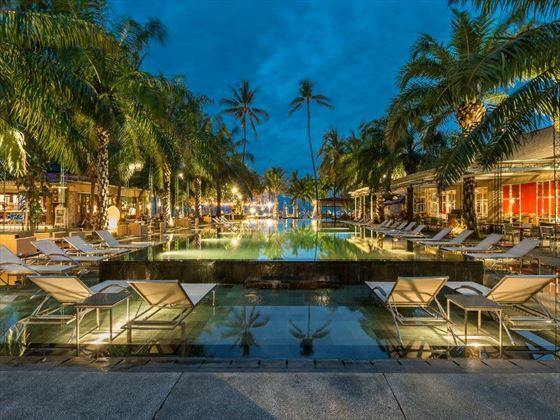 The resort here is gorgeously charming, complete with a beachside restaurant, cosy bar, lobby lounge, two refreshing swimming pools, and blissful massage pavilions, all set within a coconut grove garden that gently rolls on to a beautiful private white sand beach. 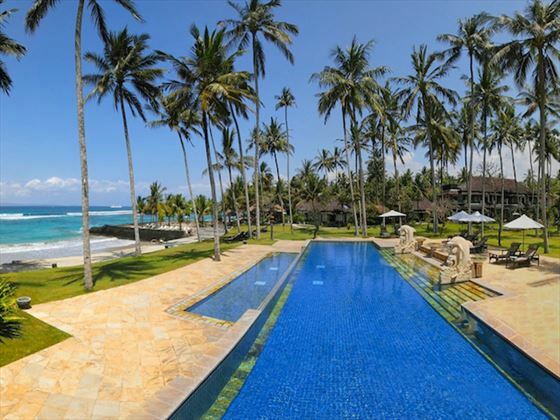 A transfer will collect you in time for your return flight to the UK from Bali's Denpasar airport. Please note that the local transport on the Gili Islands is by horse and cart or bicycle, you may need cash with you if you wish to travel by these modes but don't worry they are small enough that most things are within walking distance. 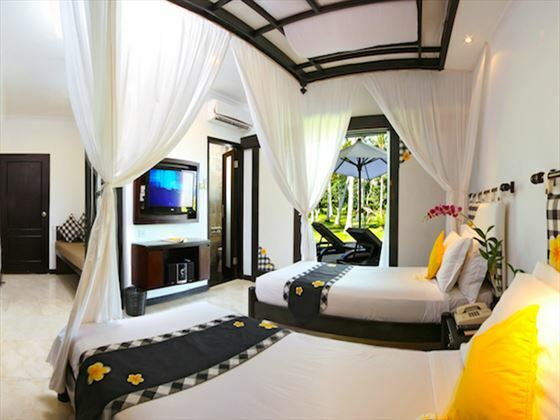 This charming hotel is set right on the famous beach at Sanur in five acres of beautiful tropical gardens. 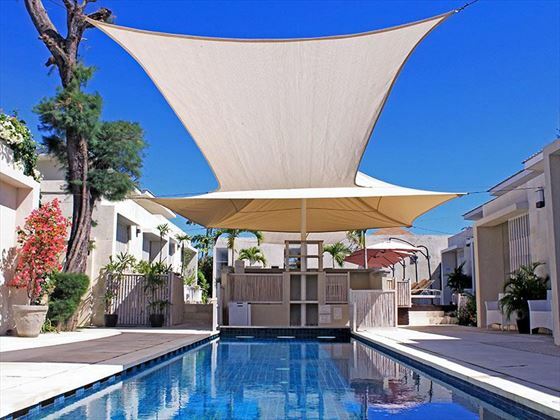 Spend your days relaxing on the beach or by the quiet pool, swimming in the sea, taking part in the water sports or joining in the family activities around the central pool. 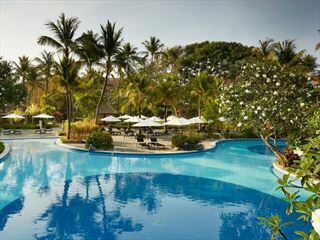 This charming hotel is set right on the famous beach at Sanur in five acres of beautiful tropical gardens. 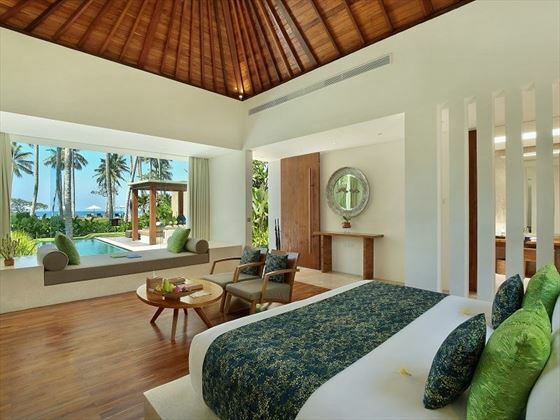 The recently refurbished rooms are modern and spacious, divided into five distinct and charming traditional Balinese villages. Spend your days relaxing on the beach or by the quiet pool, swimming in the sea, taking part in the water sports or joining in the family activities around the central pool. The atmospheric beach restaurant serves Indonesian and international meals and there is no better place to savour a cocktail than in the Jacuzzi Bar. 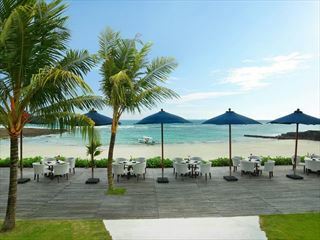 Enjoy a holiday here at one of Bali’s best-kept secrets. With just 18 rooms this is a true boutique hotel with a much celebrated level of personal service; for a small hotel it is well served by two freshwater pools, an on-site spa, and a gym and with an enviable location on a private beach facing the sunsets on the west coast. Bicycles are complimentary to guests for easy exploration of the small island, where the only other traffic is a horse cart. 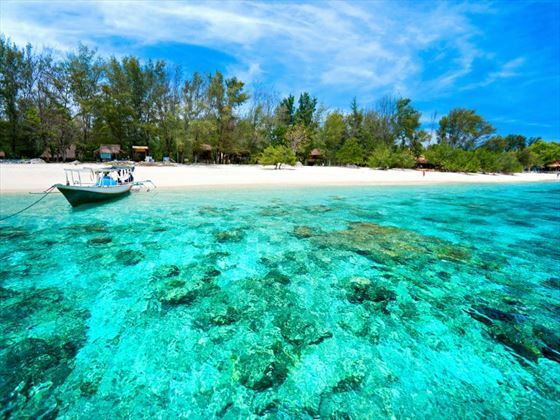 Snorkelling with the reef fish and turtles is a Gili islands must-do and here you can enjoy complimentary kayak and snorkel rental to paddle out to the best spots which you will find just off shore from MAHAMAYA. 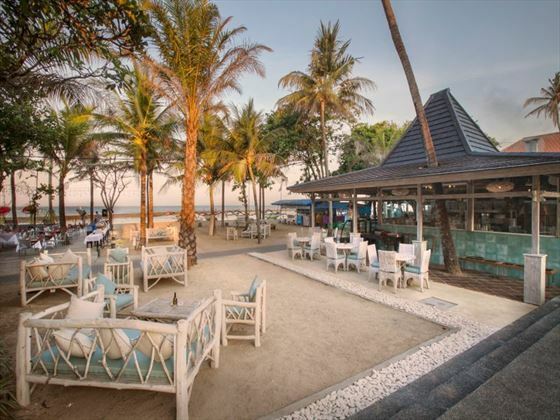 Finish off the day with a happy hour cocktail at the bar and dine at the beachfront restaurant where fresh Asian fusion food is served up for lunch and dinner. Welcome to the delightful Candi Beach in peaceful east Bali, escape from the hustle and bustle, and embrace the tranquillity. 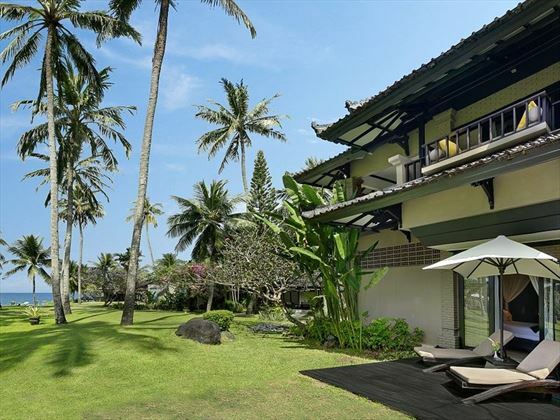 Our enchanting and intimate 4-star resort rests amid swaying palm trees within the quiet and natural environs of the beautiful Mendira Bay, Candidasa in the royal Balinese regency of Karangasem. 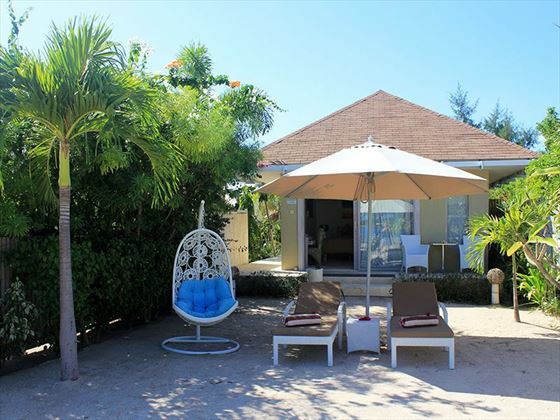 Our charming, cottage-style Cottages, comfortable rooms, beachside restaurant, cosy bar, lobby lounge, two refreshing swimming pools, and blissful massage pavilions, are set within a coconut grove garden that gently rolls on to a beautiful private white sand beach. Natural colours and local materials have been blended to create a resort that harmonises with the environment. The traditional architecture utilises local materials from Bali and neighbouring Indonesian islands, while the turquoise waters of the dreamy, palm fringed swimming pool appear to overflow into the azure sea. Candi Beach is a magical destination where you can raft dramatic rivers, shop for bargains in vibrant local markets, enjoy cultural performances of Hindu dance epics, cycle through gently swaying fields of rice, visit ancient kingdoms and mystical water palaces, climb mighty volcanoes or dive into an exotic world of psychedelic fish. Marriage proposals are proffered and accepted. This welcome oasis is where the dream begins.